Phuket’s new Central Festival, complete with a Floating Market and Hotel, scheduled for December 2017. What’s the measure of economic prosperity in Thailand? Property market prices? Tourist numbers? Export figures? Or the number of smiles on people’s faces? Everyone’s an expert when it comes to predicting the future of the Thai economy and the stats-boys will push out graphs and pie-charts selling their story. But one thing you can be sure about is that investment is still strong and the ‘big players’ are planning and acting on big infrastructure projects. Thailand’s Mega mall company Central Pattana has kicked off three more Central shopping malls across Thailand and renovating four of their malls in the capital including CentralWorld. By 2018 the Central Mall brand will own 34 malls around the Kingdom. We can imagine they’ve done their homework and can see a continuation of the general prosperity in the South East Asian region whilst much of the rest of the world wrings it’s hands over Brexit, Donald Trump and other distractions. 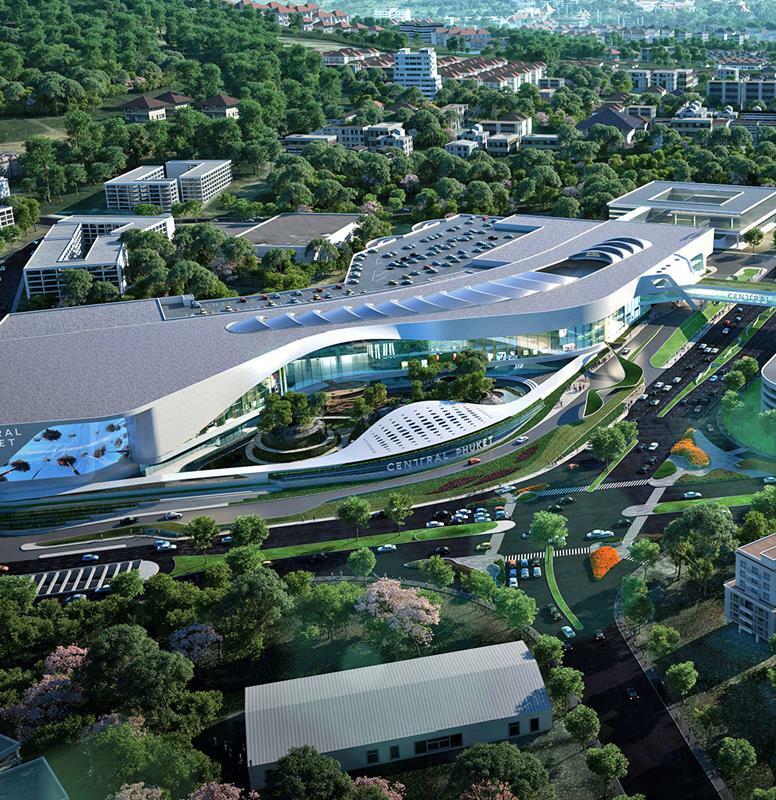 Central Plazas are being built in Nakhon Sri Thammarat, Nakhon Ratchasima and Samut Sakhon. In Phuket the Central Festival shopping centre is getting a major new addition on the opposite side of the road, expected to be open by the end of 2017. The expanded Central Festival will have a hotel (a quick nap between the shopping), a convention centre, an aquarium and a zone for the sale of local products called “Tales of Thailand”. There’s also going to be a traditional floating market, clearly aimed at the tourists coming to the southern island. Meanwhile, five other Centrals are getting upgrades. This includes the Bangkok shopping hubs of CentralWorld, CentralPlaza Pinklao, CentralPlaza Banga and CentralPlaza Rama 3 as well as Pattaya’s CentralPlaza. So the team behind Central are putting their money where their mouth is and looking forward to a prosperous future. Their motto seems to be ‘build it and they will come’. It’s worked so far.